It is important to MP Sidhu that she stays connected to her community. For this reason, Sonia frequently hosts and attends community events all around #BramptonSouth. These events give Sonia an opportunity to engage with people from her riding, to get to know them and to see what issues are important to them. These types of connections are essential because it allows Sonia to bring the thoughts and concerns that are important to her constituents back to Ottawa. 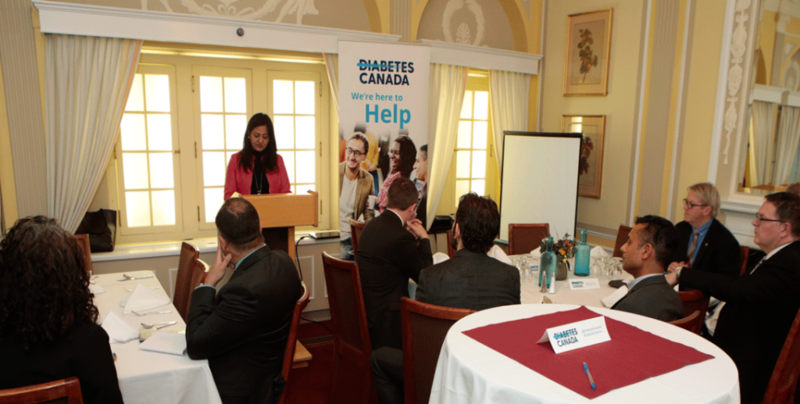 On May 3, 2018 MP Sonia Sidhu, as the Chair of the All-Party Diabetes Caucus on behalf on the Minister of Health, announced $7.7 million of funding towards type 1 diabetes research in partnership with JDRF. The funding will go toward the research efforts of 3 Canadian scientists: Dr. Remi Rabasa-Lhoret from L’Institut de recherches cliniques du Montreal, Dr. Farid Mahmud from the Hospital for Sick Children in Toronto, and Dr. Gillian Booth from St. Michael’s Hospital in Toronto. The House of Commons Standing Committee on Health (“the committee”) is empowered to study and report on all matters relating to the mandate, management, and operation of Health Canada. As part of the Health Committee, Sonia has worked on many reports impacting the health of Canadians. As a member of the committee, Sonia has been an active supporter for a national pharmacare strategy, and a plan for the government to tackle diabetes.